Smart investors understand that hiring a professional property manager is a great way to save money and protect a property. 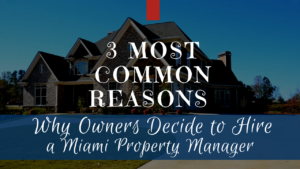 While there are many excellent reasons to hire a property manager, today we’re focusing on the three most popular reasons that owners decide they need professional help. 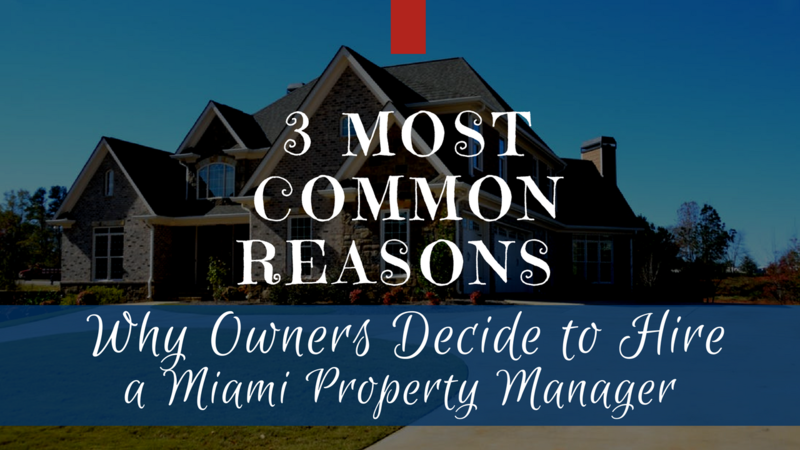 If you’re an absentee owner and living outside of the Miami area, it’s especially important that you have a local property manager taking care of your rental home. When you’re not within close proximity to the property, you’ll have a hard time responding to emergencies, showing the property, and checking to make sure the tenants are following the terms of your lease. There’s also a lot of time involved in successfully managing a home. 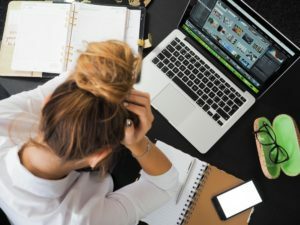 If your time is better spent on your career, your family, and other pursuits, it’s a good idea to get a professional management company to dedicate the time that your property requires. Unless you’re an expert on landlord tenant law, fair housing rules, and all of the changing regulations and requirements, a property manager will do a better job keeping you protected and compliant. Even if you have the time to manage your property, you might not have the expertise. An experienced manager will do it better than you because it’s what we do every day. We have encountered every potential situation, and we know how to find solutions. Our knowledge of the local market can earn you higher rents, find you better tenants, and increase your ROI. you’re not sure what to do when a tenant complains about mold, or you find there are extra people living at the home who are not on the lease. You only have to go through a bad tenant experience once; you won’t want to deal with a disaster again. We’re here to make sure that you have more time, more peace of mind, and a more successful experience as a rental property owner. Contact us at Real Property Management Dade when you have a question or you want to turn your rental property over to a professional company that does a great job.